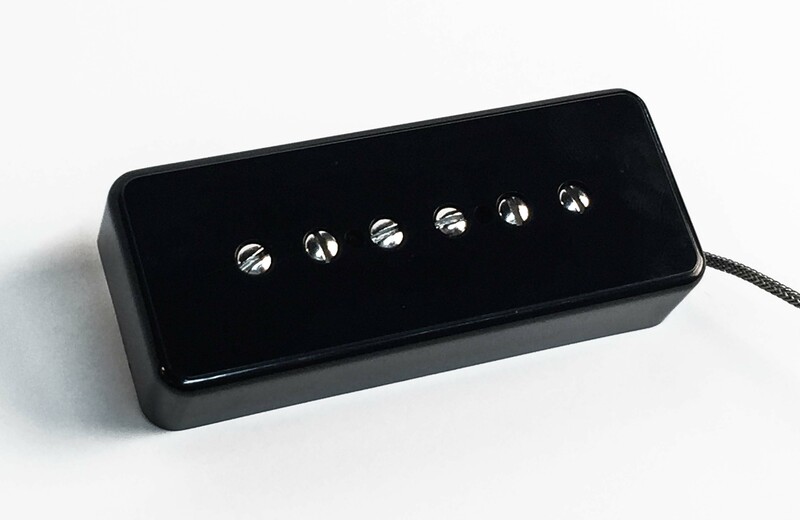 MAG-FRAG™ P90-MF pickups (bridge and neck) feature MAG-FRAG technology (patent pending), a breakthrough approach to pickup design that uses multiple Alnico magnet fragments to deliver greater clarity, harmonics and balanced note definition. Instead of a typical single bar magnet, MAG-FRAG P90-MF uses six separate magnet fragments with different material formulation, construction and magnetic strength optimized for each pair of strings as follows: 2x Alnico II (E and B), 2x Alnico IV (G and D), and 2x Alnico V (A and E). 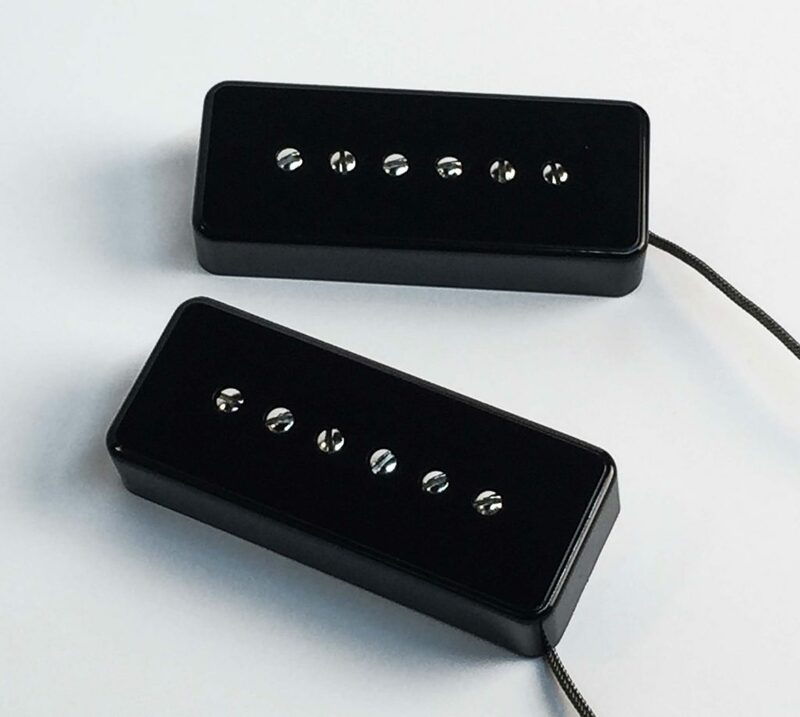 With MAG-FRAG technology, MAG-FRAG P90-MF pickups make your guitar more responsive improving touch-sensitivity, dynamic range, frequency response and harmonic content. 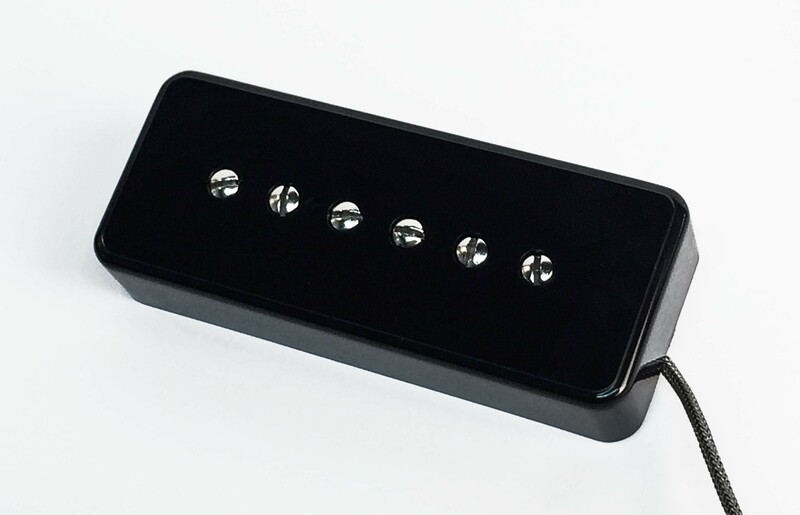 MAG-FRAG pickups are also available in Humbucker and Jazzmaster formats.